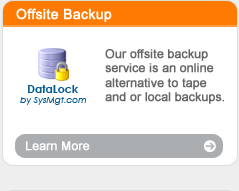 Our premier offsite backup service is an online alternative to tape and or local backups. 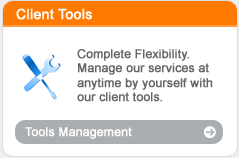 This service is a secure solution managed, hosted and owned by System Engineering and Management, Inc. Your data is backed up via a secure web connection to a fully redundant storage array and is also replicated to a second storage unit. Our backup system is designed for businesses that realize the importance of Data Backup. Our system allows for backup of all files and folders, Exchange Email (including Exchange 2007), SQL Server, Oracle, locked files as well as many other file standards and programs. Your information is stored encrypted and only accessible to your business. In the event you have a failure, your data is safe and you can return to business as usual with minimal downtime. You can restore your data via a web browser or we can bring your data to you if necessary. We are also available to assist you if necessary.